From abundant to tight-fitting, there aren't prototypes that go to waste. The orange doily: I call it finished, official reason is that I run out the thread, actually I think that the centre and the edging are not quite well harmonised, if I tat it again I'd try to repeat the squared motif in corners, or to change single rings in the edging with couples of rings. The shrug is finished, too. 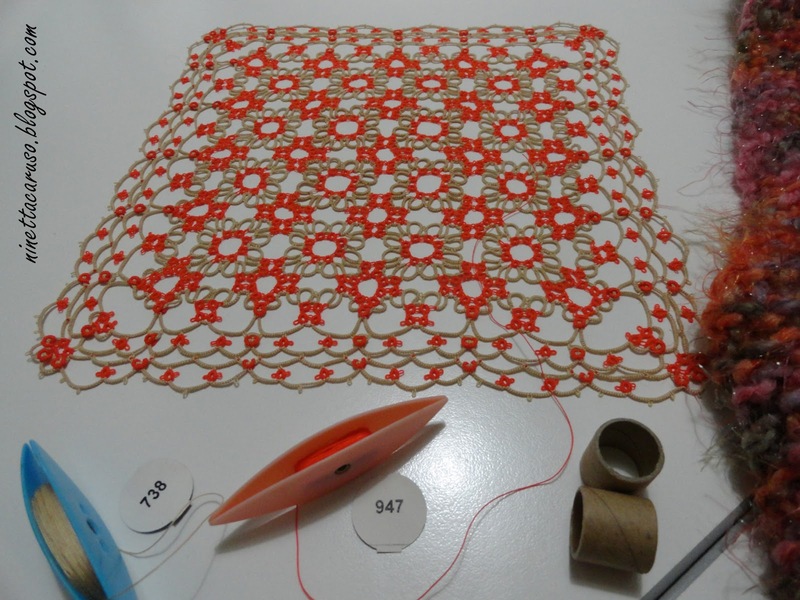 The pattern was given to me by the woman in the market stall where I bought the wool. It's a small size for me, as I like wearing a "XC" (that is how I call my extra comfortable clothes' size). Next time I urge to knit for me something different than a scarf, I should remember that I'm curvy... I finished the wool, so it will stay as it is. My mum is thinner than me, it'd be perfect for her. I've already given her the squared doily. Have you ever seen a smiling-flying mum? 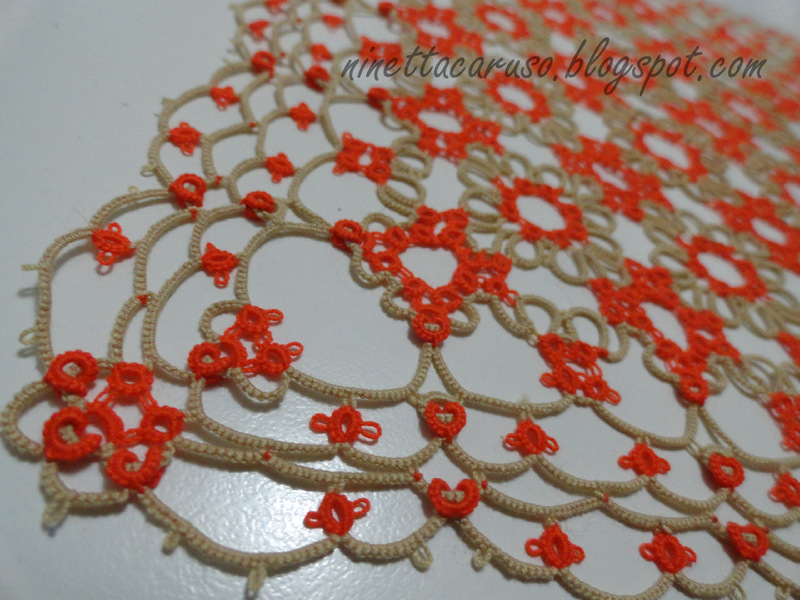 Beautiful doily. I think it looks fine just the way it is. Isn't it funny how the creator of the design will see flaws that others do not see? I love your tatted doily. I didn't look like it should be different to me! Love your shrug and the doily! Your mum is lucky, and she obviously knows it. 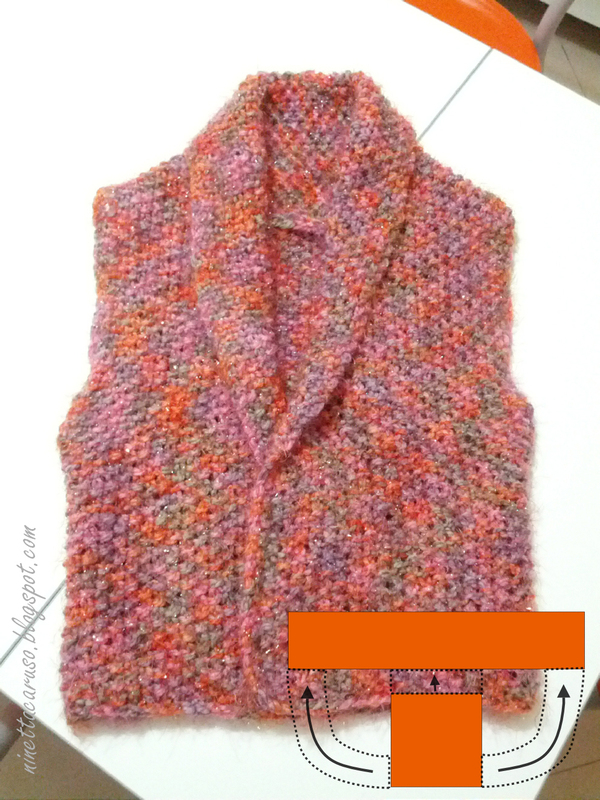 The variegated yarn has created wonderful patterns on your shrug.